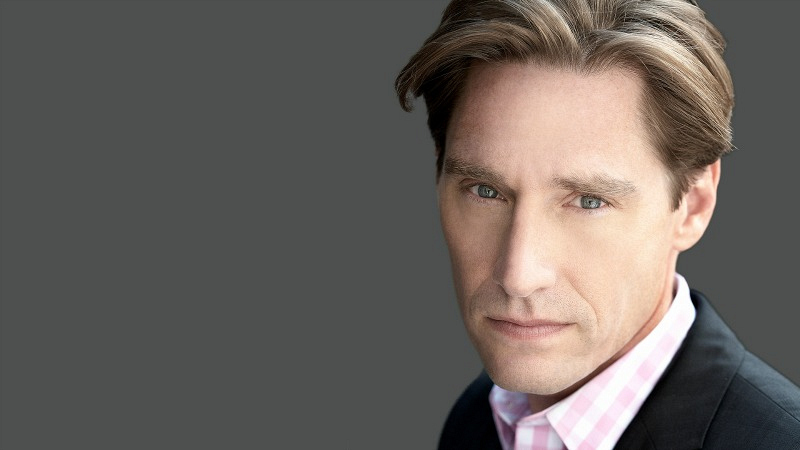 Dan Lawson explains how he styled the cast for the latest episode, "Henceforth Known As Property"
Find out his inspiration, style choices, and insider fashion tips from the latest episode of The Good Fight entitled "Henceforth Known As Property." 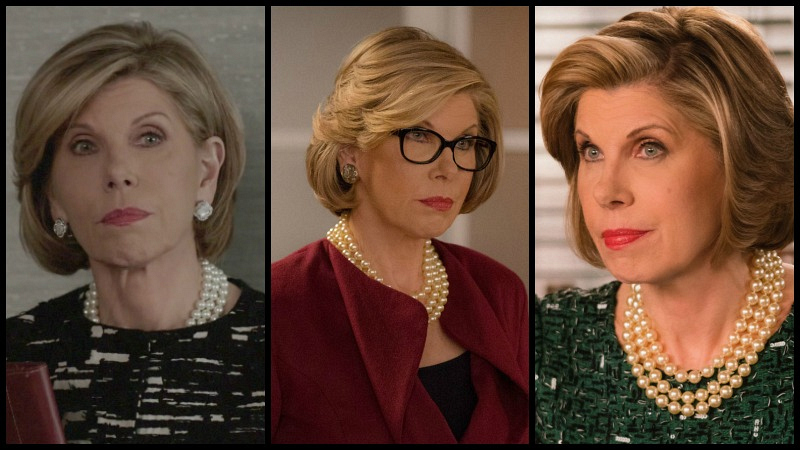 For Diane Lockhart, played by Christine Baranski, "Elegant." For Lucca Quinn, played by Cush Jumbo, "Flirty." 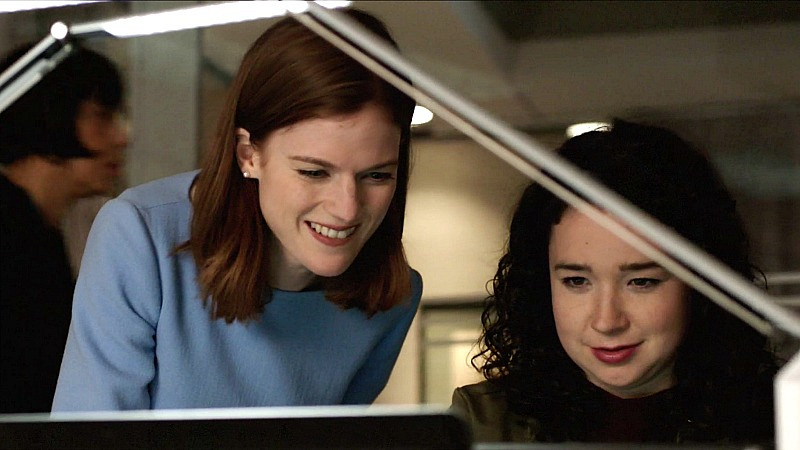 For Maia Rindell, played by Rose Leslie, "Streamlined." I loved Diane's olive metallic snakeskin textured jacket by Escada. The way the material played with the light was terrific. I put it with an olive silk blouse, also by Escada, that really punched the green tones of the jacket. 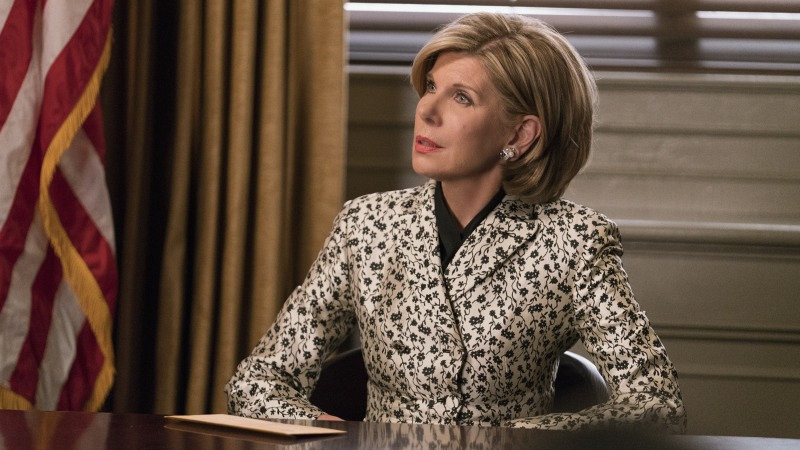 In this look, Diane is wearing a black-and-cream floral brocade jacket by Altuzarra. So chic! I liked putting the solid-black Kobi Halpern silk blouse at the neck because it anchored the busy pattern and gave the eye a rest as we visually approach Diane's face. This look of Diane's is an almost total fashion Easter egg! She is indeed wearing her signature pearls. I just adore them, and I love using them in this fashion as an alternative to a blouse. The Piazza Sempione jacket is from the Diane Lockhart fashion archival closet! I've had this in her closet for years. 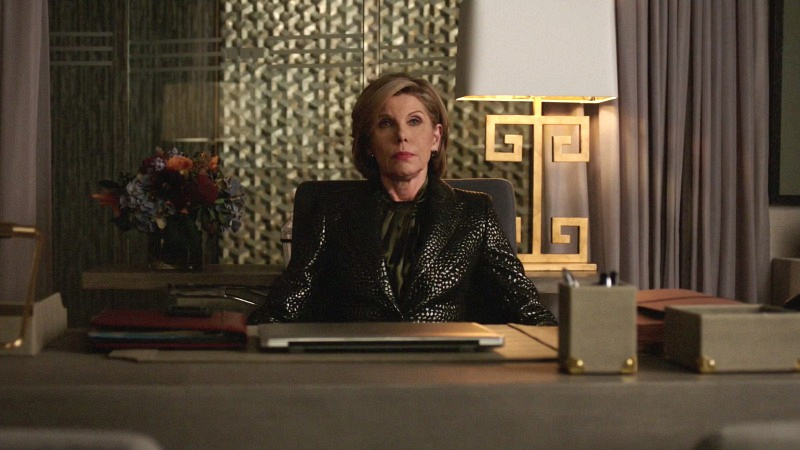 I think she wore it during season 2 or 3 of The Good Wife. I wanted to get some color on Maia, as she has been wearing so many neutrals. She's starting to come to terms with what has happened in her life and I think she is becoming a little stronger and not quite the mouse she started out as. See all of Dan Lawson's creative fashion curations from The Good Fight's fourth episode, "Henceforth Known As Property," available exclusively through CBS All Access.